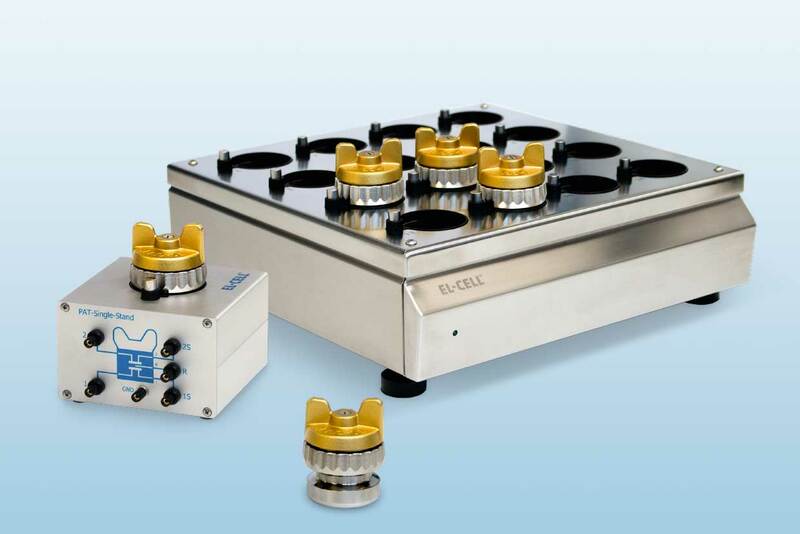 Our electrochemical test cell for two- and three-electrode testing. 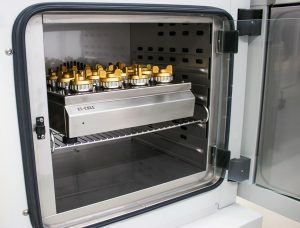 The PAT-Cell is the test cell for high-throughput testing of battery materials. 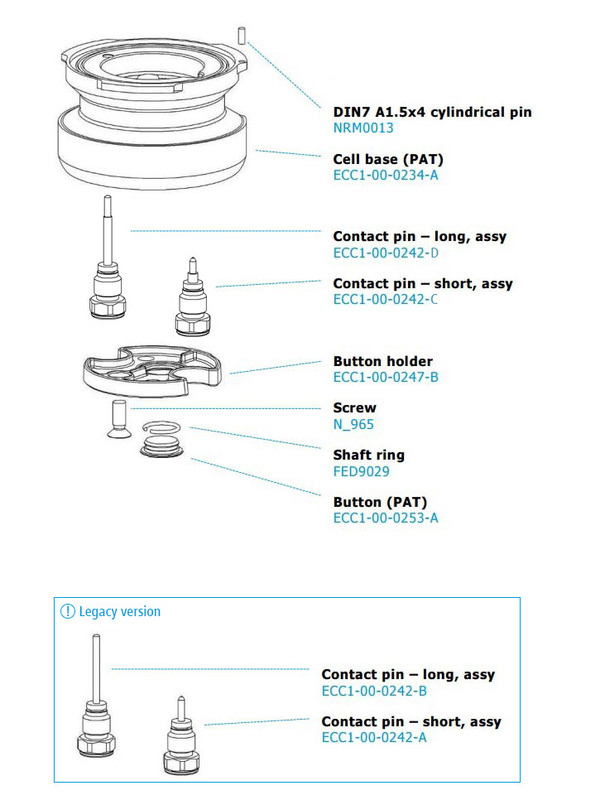 The PAT-Cell has no sockets for direct cable connections. It must therefore be used with a docking station such as the PAT-Stand-1 or PAT-Stand-16. 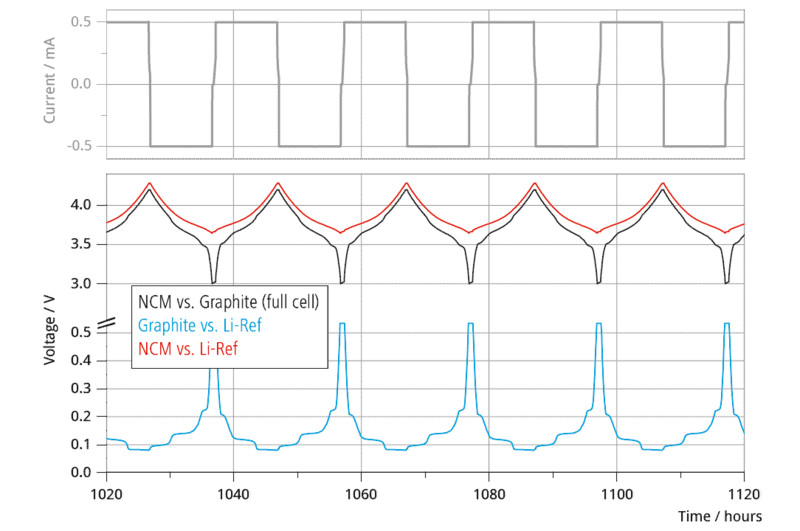 This enables parallel battery tests to generate more reliable test results with less effort and in a shorter period of time. 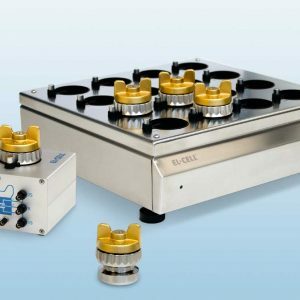 The PAT-Cell and the PAT-Stand-16 are a solution for medium and large battery test laboratories with more than 10 test cells running in parallel. 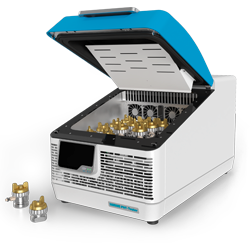 Moreover, the PAT-Cell increases the testing productivity through easy handling and it saves space in the lab. 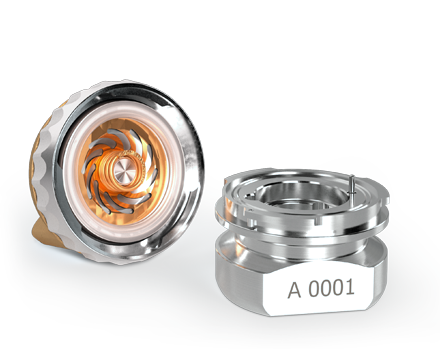 The PAT-Core enables battery tests with a three-electrode setup of a duration of 1000 hours and more. 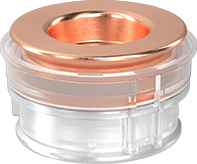 The reason for this advantage is the new ring-shaped Li-reference electrode, which is far more time stable than point-type reference electrodes. 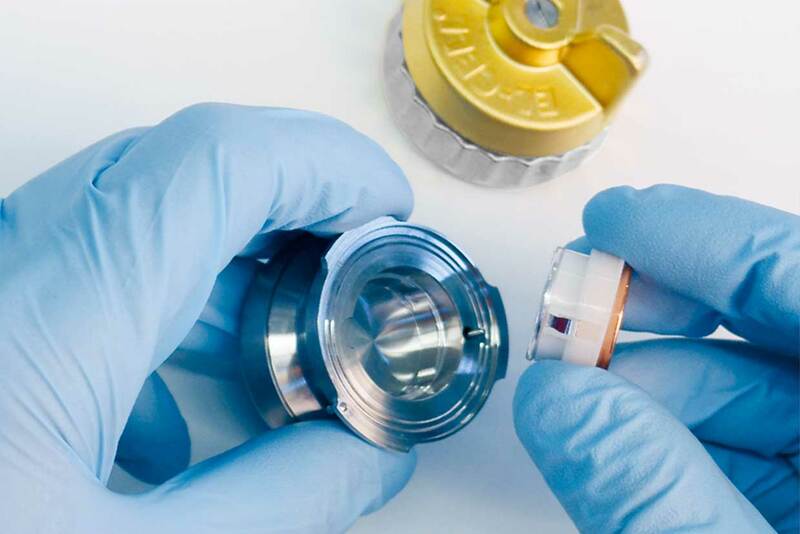 This makes the PAT-Core the perfect test system for aging studies. 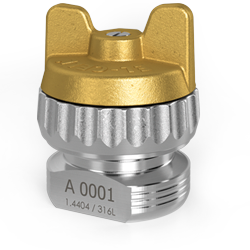 The single-use concept of the PAT series helps to reduce cross-contamination between subsequent tests and corrosion issues. 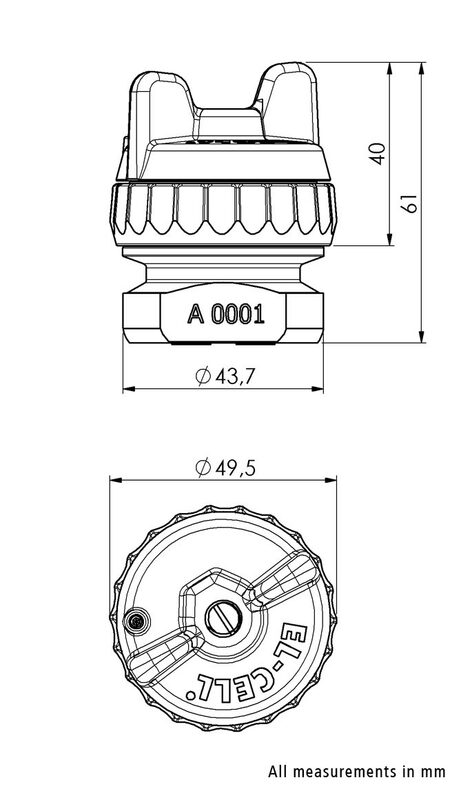 The PAT-Core consists of three single-use parts: insulation sleeve (PP), upper plunger (Cu as standard) and lower plunger (Al as standard). 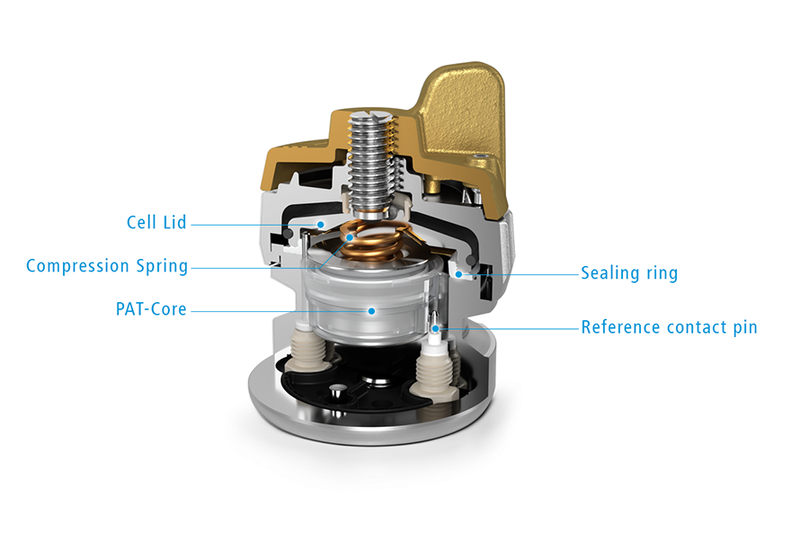 All these parts are assembled, packed and sealed under controlled atmosphere at the EL-CELL® factory. 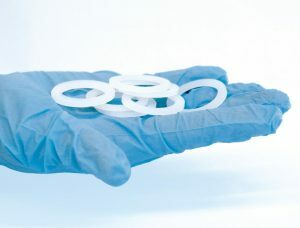 Moreover, it is not required to clean and dry the single-use parts, which avoids the risk of contamination with water and reduces effort in the lab. 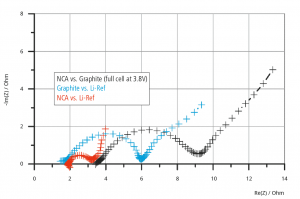 The results of half-cell impedance spectroscopy reach a new level with the new PAT-Cell. 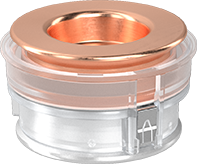 The ring-shaped Li-reference electrode allows half-cell impedance tests with minimal artifacts, due to the well-defined geometry of the insulation sleeve. The PAT-Cell can be filled easily with electrolyte during the assembly procedure. 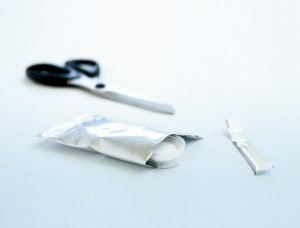 The user needs only an usual micro pipette for this purpose to drip a defined amount of electrolyte onto the separator, which is factory preinstalled in the insulation sleeve of the PAT-Core. The amount of the electrolyte used is typically between 50 and 200 μL, depending on the thickness and porosity of the electrodes and separator used. The PAT-Cell is completely airtight. 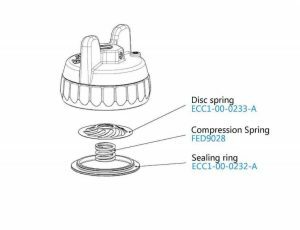 This is ensured by the special PE-Seal clamped between the double cutting rings of the cell lid and cell body. 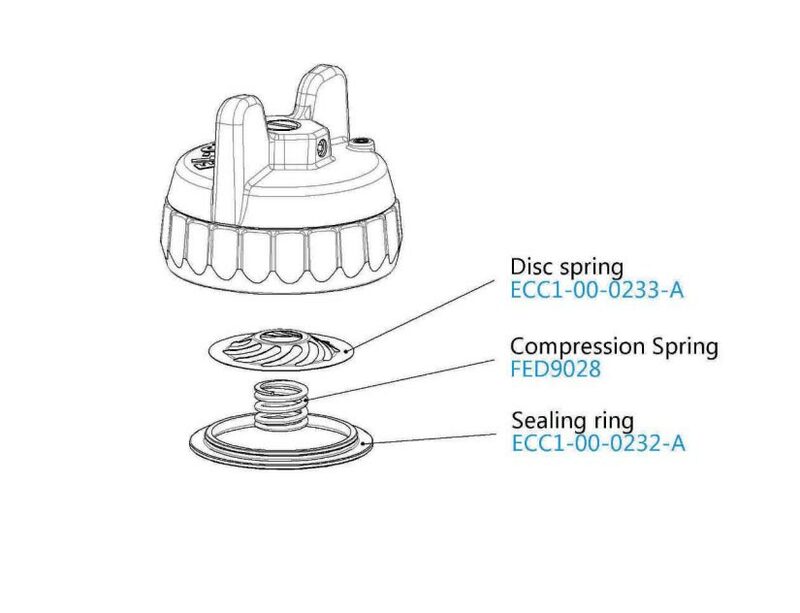 This sealing concept guarantees ultra-low leakage and enables the operation of the PAT-Cell outside of the glovebox. 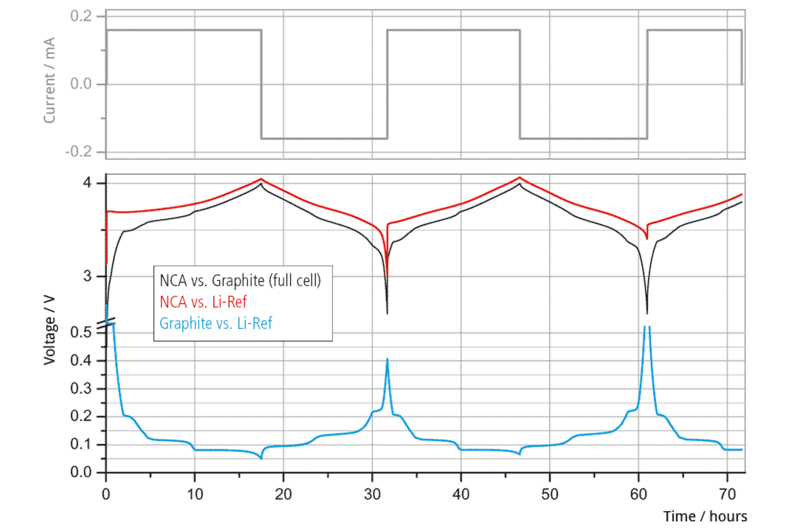 The new PAT series improves the productivity of battery testing. 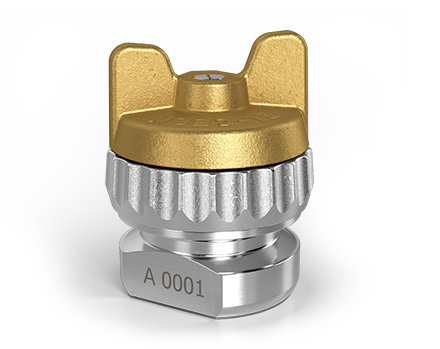 The single-use concept avoids effort for cleaning and disassembling the PAT-Cores. 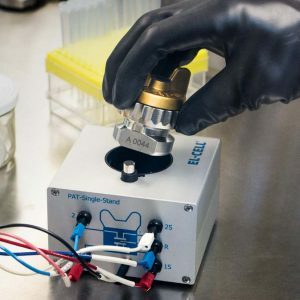 When used with a PAT-Stand-16, it saves time for connecting the test cells with the potentiostat for every new battery test. 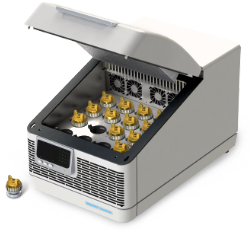 Moreover, the PAT-Stand-16 saves space in the lab through the compact design for up to 16 PAT-Cells. 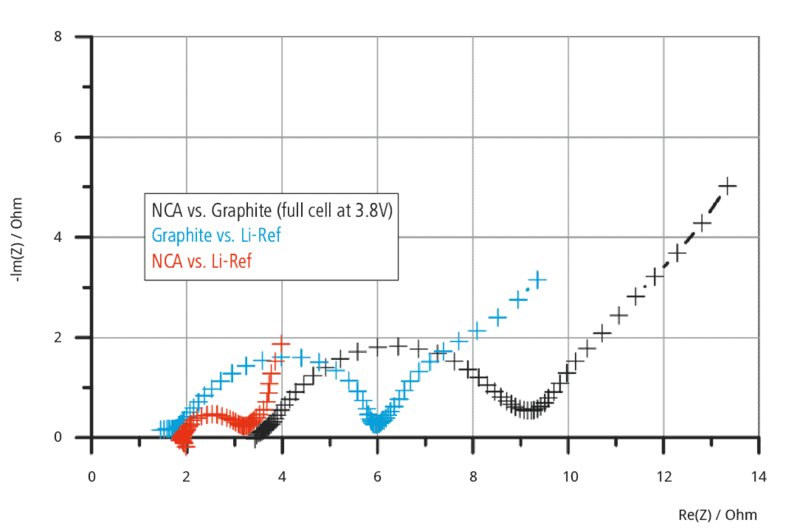 All these features increase the battery testing productivity and facilitate high-throughput testing. Please note that not all combinations may be well suited for your testing setup. 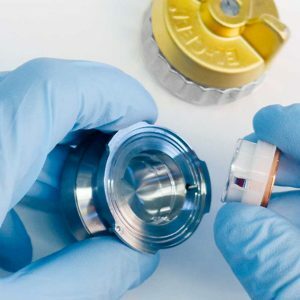 As a guide you can use our sample setups that cover the most common applications. 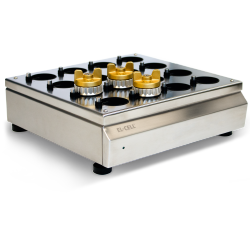 Our electrochemical standard test cell for two and three-electrode testing. 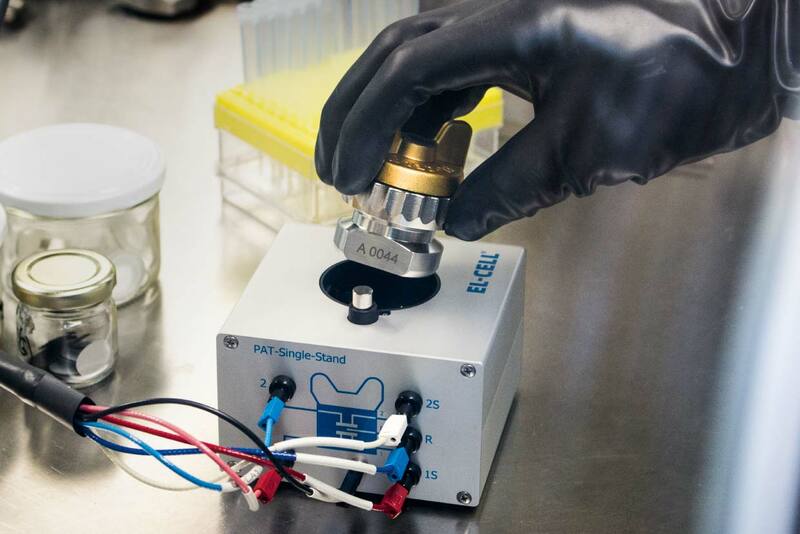 Inserting a PAT-Cell into a PAT-Stand-1 inside a glovebox for testing. 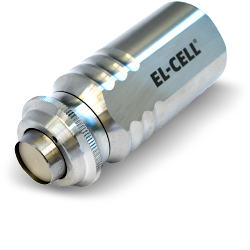 This video introduces the EL-CELL PAT series and shows the core features and benefits. 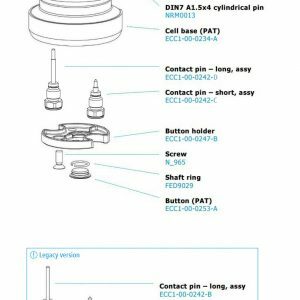 Learn more about the funcionality and benefits of the PAT-Core, the essential part of every PAT-Cell, as well as assembly procedures. 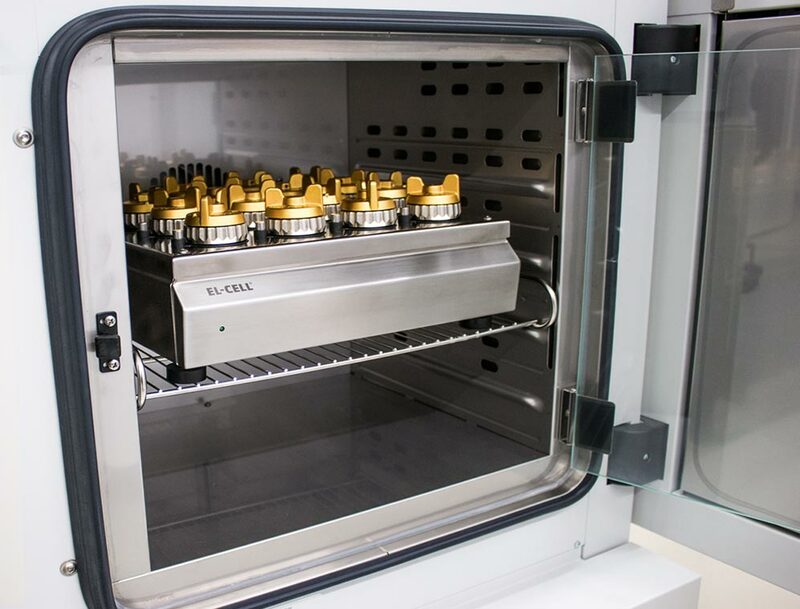 See the assembly procedures of the PAT-Core and PAT-Cell in a glovebox environment. 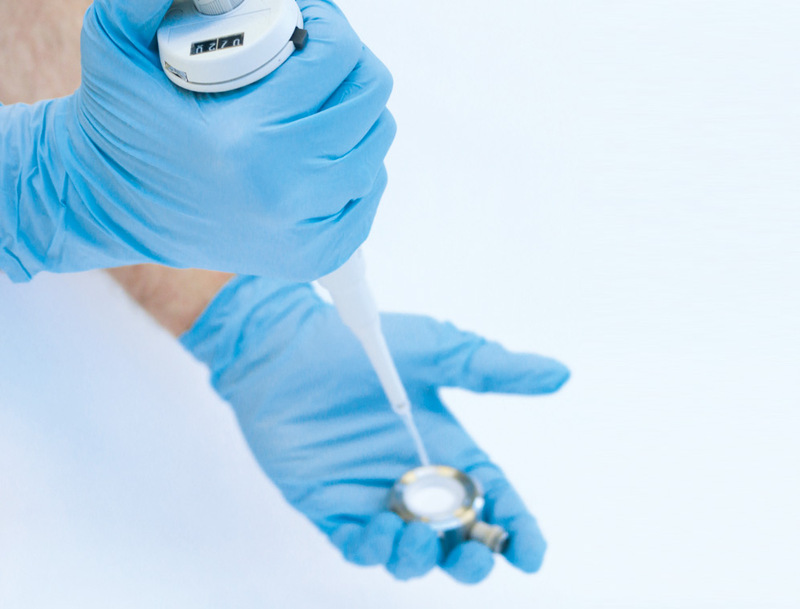 High precision cutting pliers to eliminate torn and chipped electrode edges. 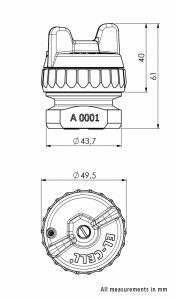 Recommended diameter size for use with the PAT-Cell is 18 mm. 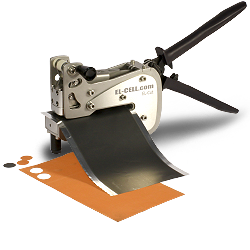 Punching tool for lithium foil. 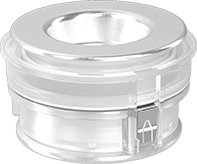 The recommended size for use with the PAT-Cell is 18 mm. The PAT-Tester-i-16 integrates a temperature controlled cell chamber and docking station with a potentiostat/galvanostat into one single instrument.